If you need INFINITI parts in Lynnwood, you will love the convenience of INFINITI of Lynnwood’s service and parts department. 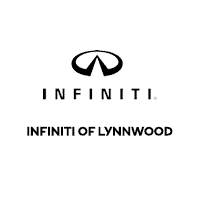 We carry the highest quality, genuine INFINITI parts and accessories in Lynnwood to ensure incredible value. Additionally, our parts department is staffed with knowledgeable and friendly Parts Professionals to make sure that you are getting the correct part for your vehicle with our Kirkland auto repair. Drivers that visit our Lynnwood INFINITI dealership for all of their parts needs can also take advantage of conveniences like online ordering and Saturday hours. Customers can order parts and request information right here on our website 24/7 for whatever parts and accessories you need in Lynnwood. INFINITI parts customers can also take advantage of parts specials. There is always a new special offer being provided, so be sure to check back frequently for the latest information on these offers and promotions. Need INFINITI parts in Lynnwood? Contact us, request your INFINITI part, or call (877) 378-9624 for more information. We look forward to serving you!